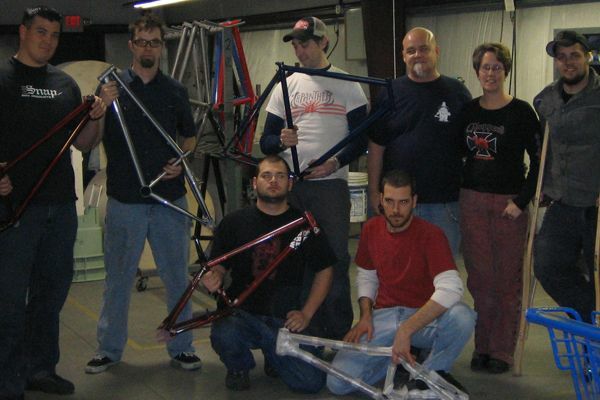 I started Bishop Bikes in 2007, with the goal of building bikes at the highest level of quality. Combining classic artisanal techniques and modern materials, I create bikes with a clean, modern aesthetic and precise attention to detail. Bike fit and handling tailored to customer needs and riding style are my primary objectives, with beautiful paint and thinned lugs being the finishing flourishes on a solid foundation. I prefer to fit customers myself whenever possible. Among my many influences are the classic French constructeurs, Italian racing bikes, and the great American custom builders of today. 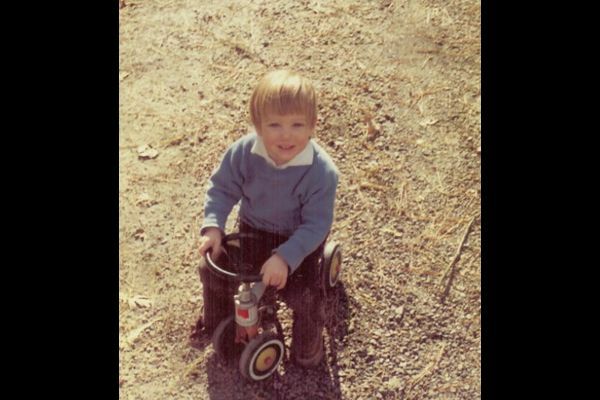 I’ve loved bikes from the beginning. 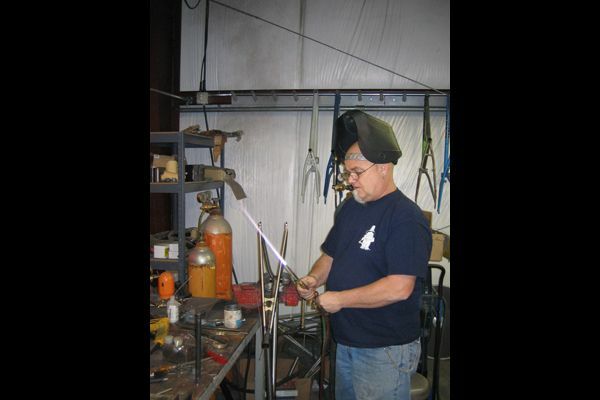 Following is a history of me and bikes, and how I evolved into a frame builder. Although there are many other interests and pursuits in my life, I only include points relevant to this evolution, which I hope continues throughout the rest of my life. 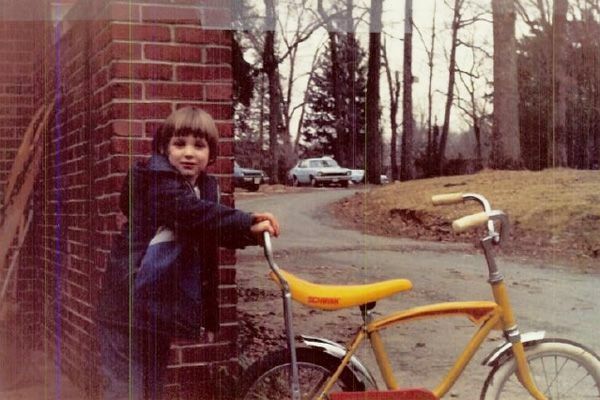 This yellow and red Schwinn was my first “real” bike. My father painted it himself. I thought it was the coolest thing I’d ever seen. Instant love. 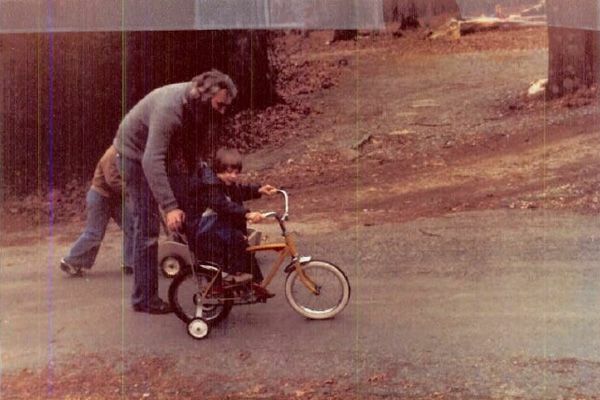 I learned a lot from my father, including many of the skills I use today in frame building. My father makes and paints trains and models. (Check out his website) I used to make models with him, and that is really where I feel my attention to detail and hand fabrication skills began. We would scratch build many parts for the models. I grew up in Mount Washington, a neighborhood in Baltimore near Pimlico Track. During the Preakness, me and the neighborhood kids would get shopping carts and shuttle people’s stuff back and forth from their parking spot to the track for money. All of that money went into parts for our bikes. 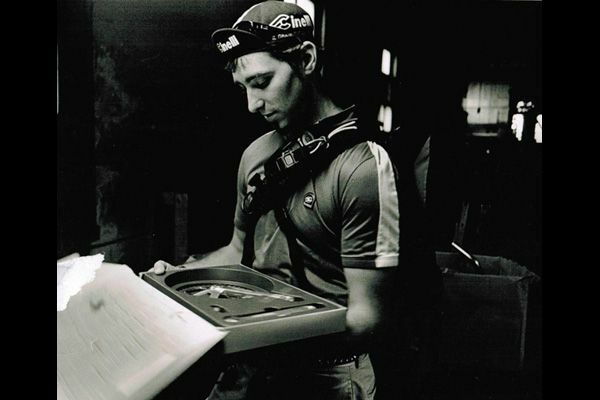 We were constantly replacing and swapping out bike parts; bartering and trading with each other. Working on the bikes and riding them was all we wanted to do. 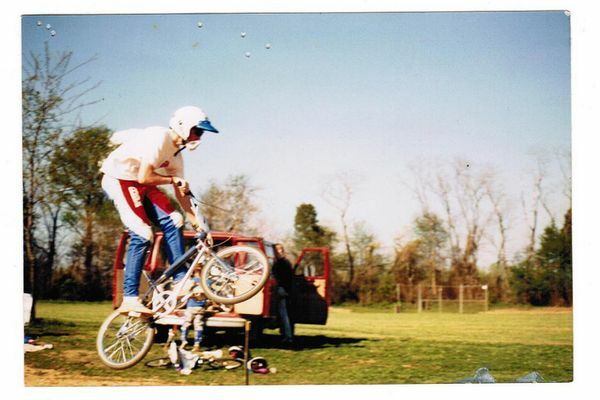 When I was 11, I got into BMX. 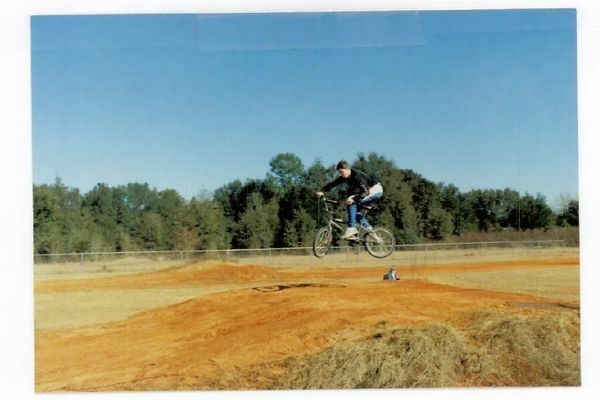 When I was 13, some neighborhood kids got me into BMX racing. We built our own track at Luckman Park, in our neighborhood, and we raced a lot. When I graduated high school, I moved to San Francisco, and then to Portland with some friends. In Portland, I started doing construction and carpentry, working with wood and building houses. Working in construction, I learned the importance of exact measurements in order for everything to “fit” right. Often houses are constructed pretty poorly, and that bothered me. I am a perfectionist, and it bothered me how sloppily some of the work was done. I learned a lot out in Portland, most importantly that I have a passion for working with my hands and creating things. I left Portland in 1996 and came back to Baltimore. 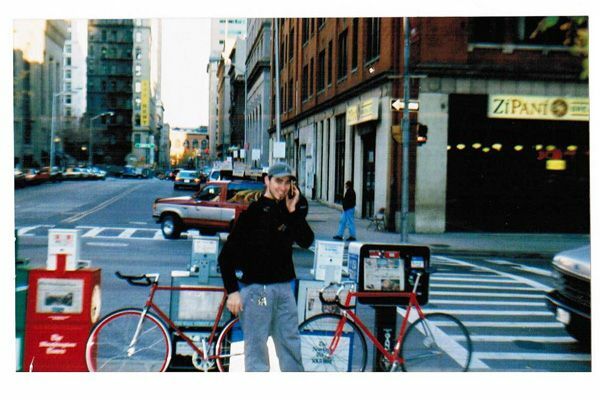 That’s when I started working as a bike messenger. My first bike as a messenger was a GT RTS2 full-suspension mountain bike with a rigid fork because the shock had blown out. Ghetto style. I broke that bike twice. I quickly learned that a road bike was the way to go. On to the 64-cm Raleigh Technium. Talk about no standover! After that, I got a Specialized Allez; carbon fiber with aluminum lugs. It was like riding on a fishing rod. The abuse that the bikes took quickly destroyed drive trains, shifters, and all the expensive replacement parts, so I slowly moved toward a singlespeed drive train. Finally, I got lucky and bought an old lugged Guerciotti, which I converted into a singlespeed. 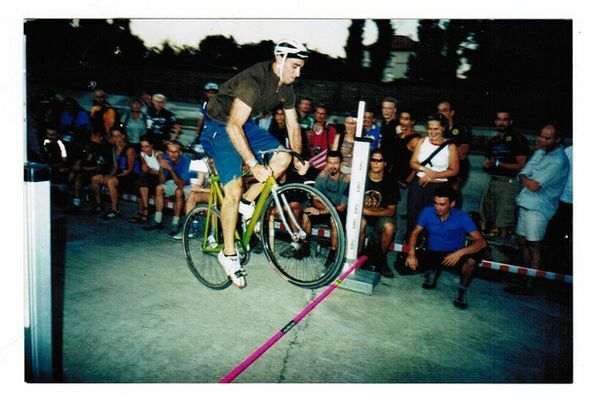 In 1998, at the CMWC in Washington, DC, was the first time I saw messengers riding track bikes. I wanted one immediately. I remember thinking, “There is nothing to break on this bike.” Without the rim brakes, even your rims wouldn’t wear out, and maintenance costs were minimal. 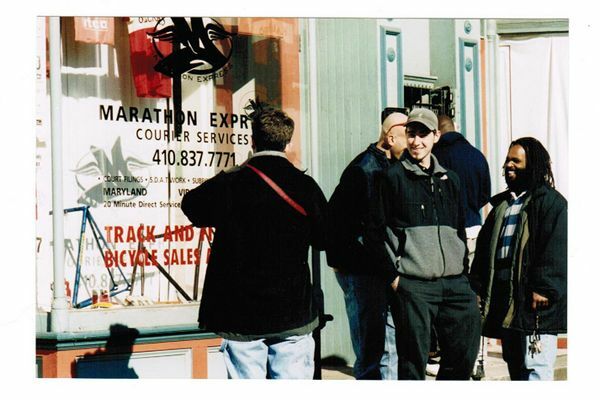 In 1999, I started a courier company, Marathon Express, with another courier, my friend Jason; soon after, I opened a bike shop by the same name on the east side of Baltimore. 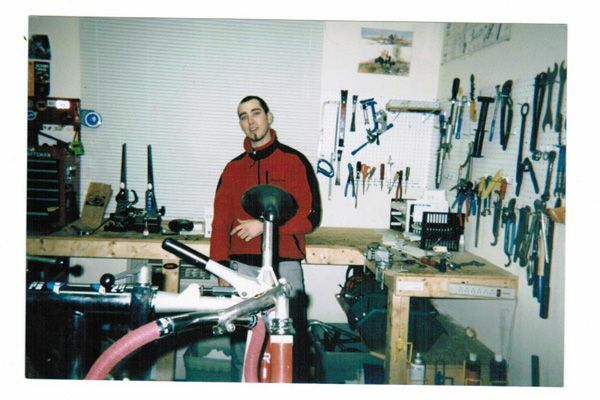 My friends Jason, Matty, and I sold bikes and bike parts, wrenched on bikes, and ran the courier business from this shop. 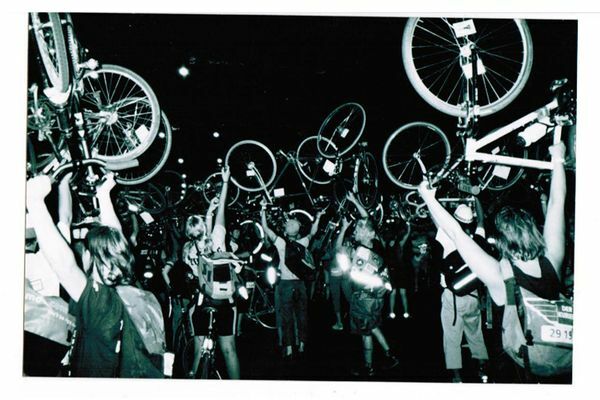 We were the first and only shop in Baltimore that specialized in fixed gear bikes at that time. Matty Schwar moved to Portland around 2004 and started working as a frame builder. His bikes were great, and his experience planted the seed in my head regarding trying frame building. I enjoyed being a messenger. I traveled around the world and country attending races, like the CMWCs, and met amazing people, many of whom I am still friends with. 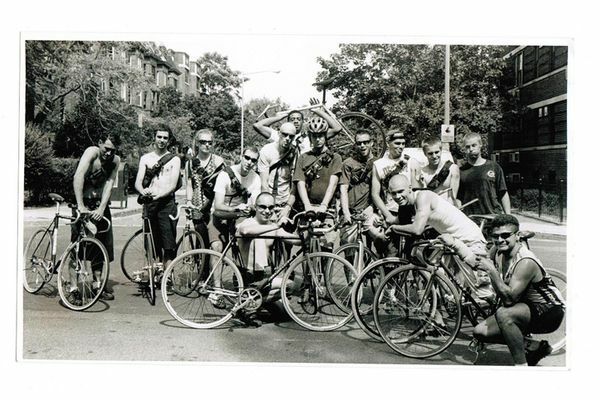 My friends and I put on the first alley cat race in Baltimore in 1999, the Baltimore Brawler. Can’t say I didn’t have a good time. 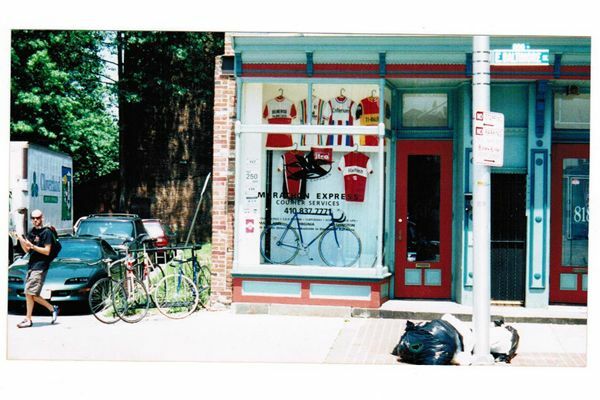 In 2002, we sold the courier part of Marathon Express but still kept the bike shop open for awhile after that. Eventually, I had to close the bike shop because of a combination of having no free time and bad landlords. In 2004, I took off on a road trip with my wife for 6 months. When we got back from our trip, it was time to get serious: marriage, house, career. Even though I still currently work part time as a messenger, mainly doing legal filings, I knew that I didn’t want to do this for the rest of my life… and the pay never gets better. I decided to take some frame building classes. The first class I took was at Brew Bikes, taught by owner Steve Garn. It was also Steve’s first time teaching a frame building class as well. There are no words to describe how awesome Steve is! I have a lot of respect for him and what he has accomplished and continues to do. We had a great time in class, but we put in some long days. However, it paid off. I learned a lot that week in Boone, NC. If you are thinking of taking a frame building class, I recommend Steve’s. So after all of the classes, it was time to practice, practice, practice. 2006-2008 were the hardest-working years of my life. There is no easy way to learn; no short cut. Progress is slow; mistakes are frustrating; hours are long; pay is short. There is doubt about success. But even in this time, every day when I woke up, I still wanted to make bikes, and I had ideas and plans continually bubbling up in me. And so Bishop Bikes was born. I look forward to the continuing evolution of myself and Bishop Bikes.